Call it a throwback to the ghost of recessions past, or a nod to the Eisenhower-era but Toys ‘R’ Us is introducing a new program that will help consumers start saving for holiday expenses. Toy’s ‘R’ Us’ Holiday Savers Club will allow consumer to convert cold hard cash into Toys ‘R’ Us gift cards. Toy’s ‘R’ Us will give you 3% ‘interest’ on whatever amount you place in the Savers Club, if you use the Toys ‘R’ Us gift cards to buy the Tickle Me Elmo of the year and flip on e-bay you may even see returns higher than 3%. Either way most consumer affairs experts would advise against giving your money to the Bank of Toy’s ‘R’ Us. The program will give consumers who are incapable of managing their own finances a chance to save up for holiday toys. If you suffer from a gambling addiction and spend your Christmas bonus at the track Christmas Eve than this program is for you. If you wake up with a Holiday Savers hangover and are left with a couple hundred in useless Toy’s ‘R’ Us gift cards give Giftah a call. Giftah.com will buy your unwanted gift cards. 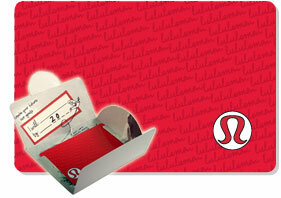 Thats right, we will give you cash for your unwanted gift cards! Imagine the freedom, being able to spend your money on anything you want. Sell your gift cards to Giftah today! With the recent release of the iPhone 4 many older iphone models will become expensive paper weights as users upgrade to the newer model. RadioShack has decided to cash in on the opportunity by offering a trade in program that will reduce the financial costs of a users iPhone upgrade. If you bring in a 8GB or 16GB iPhone 3G RadioShack will give you a $100 RadioShack gift card. If you bring in one of the iPhone 3GS models RadioShack will give you a $200 RadioShack gift card. The gift cards can then be used towards purchasing a new upgrade. All in all its not a bad promotion, however if you are like the majority of the population you likely get your phone somewhere else, whether its the Apple Store or a cell phone provider. If you decide to take advantage of the RadioShack promotion but do not know what to do with you RadionShack gift card consider selling it. Giftah.com will give you cash for your RadioShack gift card. You can trade unwanted giftcards for cashwhich can be used to purchase a new iPhone, or spend it somewhere else, that’s the beauty of cash, unlike a gift card you can spend it however you want. If you have any other unwanted gift cards Giftah will buy those as well, they give cash for cards from hundreds of major retailers. So get ride of those unwanted gift cards and get paid for your gift cards today. 1) Check Sears Gift Card Balances By Phone, Call 1-866-297-5306. 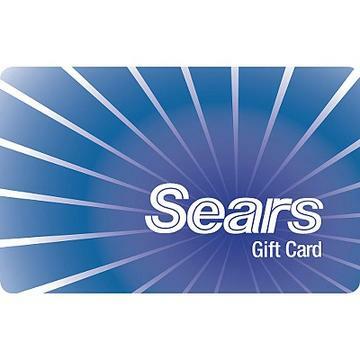 2) Check Sears Gift Card Balances At Any Sears location. Once you know the balance on your card you can go buy something from Sears or get cash for your gift card. Whichever you decide Giftah can help you get more for your gift card. We have discount Sears gift cards for sale, or if you would rather have cash we will give buy your unwanted gift card! 1) Check Kmart Gift Card Balance By Phone, Call 1-866-562-7848. 2) Check Kmart Gift Card Balance Online, Click Here. 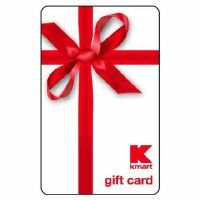 3) Check Kmart Gift Card Balance At Any Kmart Retail Location. That’s right, if you purchase any gift card with a value above $50 at any Shopper Drug Mart store, you will receive 5000 points in return! This promotion is running from Saturday, June 6 up to Friday, June 12. Amazon is now accepting trade ins for used DVD and Blu-ray disks. The disks must be in good condition and have a value of $10 or more. In return you will be issued an Amazon gift certificate good for anything on Amazon’s website. The company has made it relatively easy to cash in on the offer; if you have some old disks just head over to Amazon’s site, check out the value of your disk, print a shipping label and mail it to Amazon. Amazon gift card credits will be deposited to your Amazon account. If what you are really after is cash then take your Amazon gift cards over to Giftah, the gift card marketplace. You can sell Amazon gift cards on the site and get some cash for your gift card.